Ever wondered how some companies never seem to run out of ideas for blog post topics? Read on to find an easy solution to the problem. You know how important a blog is for your business. It drives traffic to your website and provides you with credibility. But at the same time, my goodness it can be a chore dreaming up topics for your business blog every week. Like you, I’ve been there. The good news is I’ve found a solution to the problem. So what’s the solution to generating blog post topics? A good starting point is to think about what would motivate a reader to click through to your business blog post. 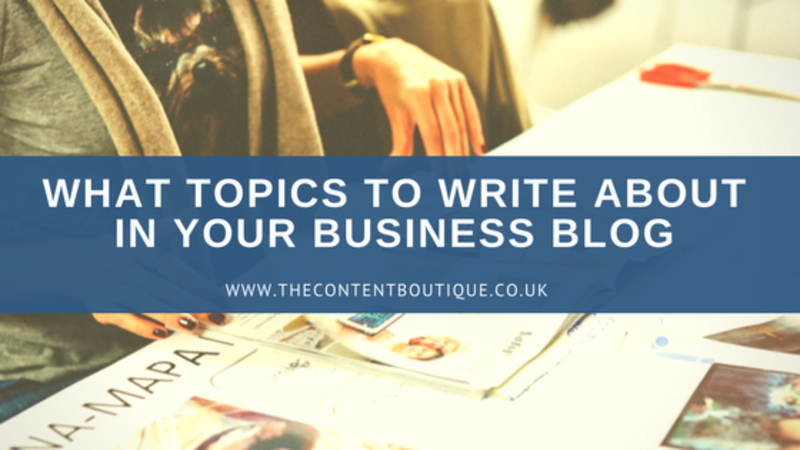 Then you should be aware of the range of tried and tested business blog post formats you can use to answer your readers’ questions. Your readers turn to search engines when they have a problem How to posts provide quick tutorials/step by step guides to solve them. Let you share valuable information in an easy to read and digest format. Give readers a quick and simple guide to get them on the right track. Make topics understandable, by presenting information in a visual format. Tell stories from a customer’s point of view. Back up your claims with statistics. Gather together useful, relevant content (news roundups for example) and share it. Describe how your product/service compares to another. Get someone else’s perspective on a topic. Ask an expert. Provide your readers with hope and encouragement. Finally, once you’ve decided upon the angle for your blog post (the motivation to read it), all you have to do is choose from the list of formats. Put together a useful checklist. Curate a list of useful posts you can share. Now go ahead and make it happen. If you would like help writing business blog posts, then do get in touch. I have some cost-effective blog writing packages for businesses. Do get in touch for information about pricing.